Hiring high-level professional help can be daunting task for most small and medium sized businesses. According to a recent study, the average annual compensation of a CFO in the UK is £100,944. This prohibitively high cost can impede a small business from hiring a CFO, all the while stopping them from making progress. A revolution has began in this regime. The rise of many companies that offer on demand financial management are a breath of fresh air to small business owners. You can now hire top level CFOs at a fraction of the cost through consultancy services, as interim CFO. With the need for adequate financial consulting growing due to stricter government policies for business, these services are the need of the time. With difficult tasks like marketing, sales and customer support already competing for the time and attention available to a small business owner, the added experience and time needed to perform audits, file taxes and manage the company’s financial resources adequately, can become impossible for business owners. Now with the advent of financial consulting services, companies can acquire the services they need without hiring executives who become a burden to their already strained budgets. However, some may claim that the services offered by such agencies may be sub par. This is far from the truth. In fact, the competitive nature of the market in which they strive to gain contracts guarantees that they provide high quality services. This provides a better alternative to hiring lesser talent at a lower cost, which also results in negligible progress for a company. Thus, interim or part time finance director services are the only way to ensure that you receive high quality work for every penny you pay. If you are a small business owner and want to make the most of your financial resources, contact Assured FD Services today to use your resources to the fullest potential. This is the best way to ensure that you make the most of your resources and grow your company at the pace you want. Consumer confidence in the United Kingdom dropped this month to its lowest level since the immediate aftermath of the Brexit vote, weighed down by worries over rising inflation pressures, a survey released over the weekend showed. Polling firm YouGov and the Centre for Economics and Business Research (Cebr) said consumer morale in the country declined by a whole point to 108.1 this month, the lowest level since July this year. Pollsters found that British consumers were less optimistic about their household finances over the next 12 months due to worries over inflation, which is expected to rise sharply after the UK formally exits the European Union. Scoot Corfe, Cebr director, says that looming inflation is slowly being felt in the economy at large and by British consumers. The YouGov/Cebr survey echoed the findings of a separate survey published by GfK the day before which showed a deterioration in consumers’ sentiment for the coming year. Sterling has shed more than 10 percent of its value against the greenback since June’s Brexit vote, and while a number of businesses have raised prices to compensate for the weakening currency, many are still holding out price increases until after the highly competitive holiday shopping season. Contrary to predictions of doom, the British economy has done relatively well. Many economists were expecting worse. However, a rise in inflation in the next 12 months is particularly worrying as it is likely to weaken the spending power of households, a key economic driver. Household spending power helped the UK recover economically during the financial crisis of 2007 to 2009. Meanwhile, wages are not expected to keep pace with inflation, says XpertHR, a payroll data company. The Bank of England (BoE) projects inflation to rise within the next 12 months to 2.7 percent from 1.2 percent. If you are looking for guidance through these uncertain times, contact Assured FD Services today on 07817 676371. Assured FD Services provide specialist part time FD services to UK businesses, strengthening operating stability and strategising for growth. UK’s legal sector, a £25.7 billion industry, could be at risk if the Government is unable to secure guarantees for it after the country leaves the European Union (EU), lobby group TheCityUK warned on Tuesday. Britain’s legal services sector is preferred by international companies for dispute resolution due to the use of English law in commercial contracts. EU rules require member states to recognise and enforce UK’s law and vice versa. This makes Britain a very attractive place to draw up contracts and resolve disputes for many businesses, both local and international. It has become one of the largest legal sectors in the world with four times more turnover than France and two and half times more than Germany. It is second only to the United States. The potential loss of mutual enforcement rules, which is a likely consequence of the Brexit, could force many companies to look elsewhere for legal services. The sector, which employs roughly 370,000 people, is now urging the Government to find a solution that will allow mutual enforcement of laws and judgments to continue. It is likewise calling on lawmakers to adopt measures to ensure free movement for legal professionals in the European market, noting the high number of foreign law firms operating in the country. The group pointed out the adverse effects to other key sectors including financial services, energy, real estate and technology if legal support services are disrupted. Miles Celic, chief executive of TheCityUK, said it is vital that the key challenges and opportunities for the legal sector are addressed during the Brexit negotiations, and that its competitiveness is not only maintained but enhanced. The legal services sector added £25.7 billion to the country’s economy last year, comprising 1.6% of UK’s gross domestic product (GDP). If you are unsure about your business’s financial future then please get in touch. At Assured FD Services we have over 20 years expertise working as a full and part time FD for companies across the UK. All new companies should be made aware that, you can claim VAT on costs incurred before the business started trading This includes VAT incurred on assets used prior to VAT registration. Full recovery only applies if a business is fully taxable. If a business is partly exempt, has non-business activities or needs to restrict VAT deduction for any other reason, it will need to take that into account when calculating the amount of deductible VAT. For further advice on Tax Compliance and VAT, contact Assured FD Services today. With over 20 years experience managing the finances of UK market leading companies, you can rely on receiving the best advice and guidance possible. The UK economy is set for a sluggish growth next year as uncertainty over Brexit and rising inflation adversely impact both consumers and businesses, the British Chambers of Commerce (BCC) said in its updated forecast. The business group projects the UK’s economy to expand by a mere 1.1% in the coming year, and by 1.4% in 2018. Previous forecasts pegged 2018 growth to be at from 1.8%. The BCC says the country will not fall into recession, but predicts that growth will slow down as import costs rise due to a weak pound. The resulting rise in inflation will then diminish consumers’ spending power, eroding overall economic figures. Recent data from the British Retail Consortium and Springboard indicate that consumers may already be feeling the pinch. Shopper traffic to the high street and shopping centres plunged in November despite lower prices and Black Friday promotions. Footfall in November was 1% lower compared to the same period last year. The BCC says the sector that will be most impacted by the economic slowdown would be public finances, particularly tax receipts. It echoes the same projections made the Office of Budget Responsibility, a fiscal watchdog. The business body expects UK’s inflation to top the Bank of England’s 2% target next year, with a forecast of 2.1% in 2017 and rising to 2.4% in 2018. November inflation figures are due on Tuesday, and are expected to climb to 1.1%. Business investment is projected to decline by 0.8% in 2016, 2.1% in 2017 and 0.3% in 2018 – slightly better than previously expected, but significantly worse than the 1.9% growth previously forecasted for 2018. The British Chambers of Commerce also said that export growth was likely to slow down in the coming years before picking up momentum again in 2018. The group said that previous projections on the impact of the weaker pound on UK exports were a bit overstated. So far, the pound has shed about 15% of its value against the US dollar and roughly 10% against the euro since the Brexit referendum. If you are looking for expert FD Services in the Leeds & Yorkshire area contact Assured FD Services today. The United Kingdom’s (UK) financial services sector paid £71.4 billion in tax last year, accounting for 11.5% of the UK’s total tax collection. This year’s contribution was the highest since 2007, accounting firm PwC noted in its annual report. Banking institutions and insurance companies were the top contributing sub-sectors, paying an additional £8.4 billion and £3.4 billion respectively, thanks to reforms in corporate tax and the bank levy. The report, which was commissioned by the City of London, underscores the potential adverse impact to public finances if Brexit limits UK’s access to the European Union’s (EU) single market. Financial services firms in the UK have expressed concerns about the Brexit’s negative effect on their businesses. Main concerns include losing access to a skilled EU workforce and potential restriction on their ability to trade with the single market, among others. About 1.1 million people are employed by the financial services sector in the UK, comprising 3.4% of the country’s total workforce. Many are waiting to see whether the UK can retain “passporting” rights, which enable lenders to continue transact without restrictions across the EU. Addressing reporters in Brussels on Tuesday, Chancellor Philip Hammond said the government would study the “costs and benefits” of continuing to pay for access to the EU single market after UK formally exits the union, echoing previous pronouncements made by Brexit Secretary David Davis. Last week, Brexit Secretary David Davis said paying for continued access was a possibility. She adds that Brexit could also mean “new opportunities” for this economically-vital sector. Following on from our previous article “Thinking Of Expanding Your Business?“, as more and more businesses are focussing on strengthening their future growth strategies, one very apparent but often overlooked scheme is exporting goods and services overseas. Most are put off by their perception of the complexity and scale of such a project, however with the right direction and determination, huge opportunities exist. In the following article, Ben Lobel details the emergence of business expansion overseas back in 2015. By 2025, 880,000 (17 per cent) British small businesses plan to expand overseas – an increase from the 10.8 per cent of small businesses currently taking advantage of additional export revenues. In 2015 Annual Business Survey figures show that a third of medium-sized businesses and 41 per cent of large businesses currently take advantage of export growth. Small businesses should work with industry bodies like the UKTI to see what opportunities exist and get advice on how to grow their business overseas. Click here to read more. So how do we feel now as we approach 2017? As we discussed in our previous article “Business Confidence and Strategy Following The Brexit Vote” even with an uncertain European relationship, it seems exporting goods and services still remains an option considered for business growth. Praseeda Nair offers her thoughts on why this might be and the benefits of looking overseas. 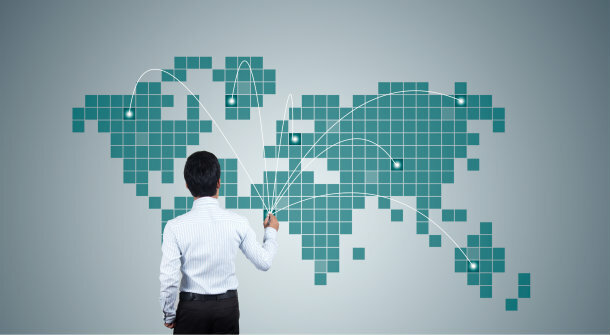 A little international expansion goes a long way for a growing business. For starters, it provides a great deal of flexibility about how you present your organisation. Fourth Day, for example, has five offices across four different countries, which makes us sound quite large. Every office, however, contains fewer than ten people, which makes us seem quite small. It’s the best of both worlds – an international team that is nonetheless sufficiently close knit that everyone knows everyone else. The growing popularity and success stories show that exporting can be a hugely lucrative opportunity, if implemented correctly. If you are a UK business contemplating overseas expansion, a Part Time FD can provide the direction and financial guidance you need to ensure maximum success. Contact Assured FD Services today to see how we can help. British businesses appear to have shrugged off worries over the Brexit vote, increasing investments by a rate of 0.9 percent over the last three months, according to official government data released on Friday. Earlier this year, the pound plunged after the Brexit referendum results became clear. Economists expected the resulting inflation to slow down UK’s economic growth, but the latest data from the Office for National Statistics seem to be showing a different picture. The increase in capital spending, which helped push the UK economy forward, beat earlier expectations of a 0.6 percent increase. The growth projection was based on a poll of economists conducted by Reuters. The rise in investments was supported by a rebound in British exports as well as a sizeable increase in household spending, the ONS said in its report. Overall, Britain’s economy nudged higher by 0.5 percent three months following the June referendum, where the vote to leave the European Union won. The ONS, however, cautioned that most of the investment data covered by Friday’s report probably included expenditure decisions made prior to June’s vote. Meanwhile, a separate survey by the Confederation of British Industry shows that UK retail sales likewise trended positively, rising at its quickest rate in more than a year in November. Experts project strong consumer spending to continue until the fourth quarter, driving economic numbers up. While big firms such as Google, Facebook and Nissan have indicated their intentions to invest in Britain despite the uncertainty over the decision to leave the EU, recent surveys show that smaller companies are holding back plans for capital spending until economic outlook improves. Anticipating a slow down in private investments in digital infrastructure, transportation and housing sectors in the near term, finance minister Philip Hammond said this week that his office will be borrowing 23 billion pounds to fund investments in these sectors over the next five years. If you are unsure about your business’s financial future following the Brexit vote then please get in touch. At Assured FD Services we have over 20 years expertise working as a full and part time finance director for companies across Leeds & Yorkshire, aswell as the rest of the UK. Once a business is established and making a profit on the products and services sold, it is only natural for a business owner to begin thinking how to manage and bolster growth. It can be an exciting but challenging time – protecting what you already and building upon that with minimal disruption to it is the key to successful expansion. It is also important to remember that there will be areas of opportunity to reduce costs and increase margins as a business develops, so capitalising on these will be key to maximising your success. It is important to understand the types of business growth and the methods you may wish adopt to achieve it. It is in the interest of the government is encourage and provide support for business growth, as it benefits the economy overall, therefore they themselves have offered an overview and guidance on the topic. The following article can be found on the government website. 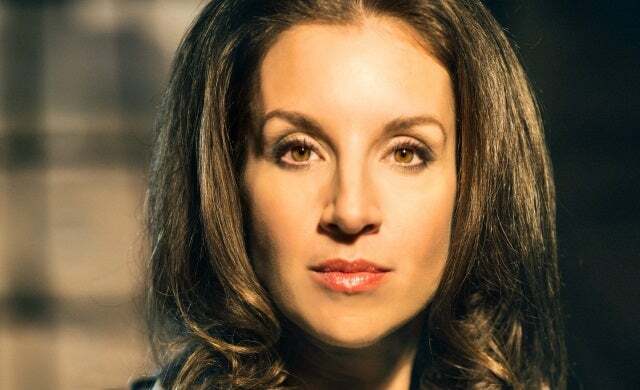 In the following article, Sarah Willingham, owner of MizMoz, Craft Gin Club and MySupermarket, offers her insight from her personal experiences of business growth, and how to best approach the challenges of expansion. Achieving success is front of mind for entrepreneurs when embarking on a new business venture. The initial stages can often be expensive and time-consuming, and business owners naturally want to see that the investment they are making will have a quick return. Often, it is the idea of expansion that business owners find particularly challenging to navigate. To help with this process, I’ve developed a series of tips to help entrepreneurs recognise when the time is right to move into the next phase of their journey and overcome the barriers to growth to reach their full potential. Expansion means different things to different businesses. For some it would be adding another shop to a chain, for others it might be starting to operate online. Whatever the goal, it often doesn’t come cheap, and therefore getting help from investors could be key to your success. To get new investors on board, you need to articulate three things: who the business is aimed at, why consumers would buy from it, and why you, as the business owner, are the person to make it work. Sarah has offered some helpful information relating to her own personal journey of business expansion. Experience in priceless is these situations, so you should surround yourself with the right people and the right advice. You could even consider the services of an interim FD to guide you through the process. If you are a UK business looking to grow, but are a little unsure about funding options, the government offers grants and loans to those who meet a certain criteria. You can click here to find out what funding schemes you may be eligible for, but I would also suggest contacting your local expert. I would like to finish out with a summary made by Sarah Willingham. A commonly held perception is that pension schemes for staff are only required for companies with a lot of employees and a high turnover. However, by virtue of the law passed in 2012, auto-enrolment into a company pension scheme is mandatory for every business type, be it on a big scale or small. It is obligatory that every employee of the company has the facility to be a member of a pension scheme. There has been a hefty amount of penalty and fines imposed if the business owner fails to fix up the auto-enrolment scheme for their staff. Based on the issued rules and regulations, the daily fine charged can range from £50 to £2,500 based on the total number of employees. Recently, PayCircle estimated that UK businesses could face fines totaling £22 million in auto-enrolment fines. View this short video from the Pensions Regulator about Auto Enrolment for employers. If you require any assistance or guidance on setting up a pension scheme arrangement within your company, consult with a professional part time FD from Assured FD Services.